Born on September 11, 1973 in Minsk. In 1995 graduated with honors from the law faculty of the Belarusian State University. During 1995 – 1998 studied at the postgraduate school of law at the Belarusian State University. In 1999 defended the thesis in the specialty 12.00.02 (constitutional law; municipal law). In 2003, awarded the academic title of associate professor in the specialty “Law”. 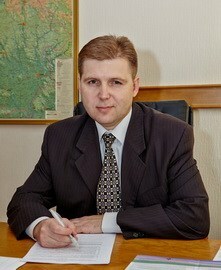 During 1998 – 2008 worked at the Belarusian State University as a teacher, senior teacher, associate professor, deputy director of the State Institute of Management and Social Technologies of the BSU. Since March 2008 – Deputy Director – Head of the Institute for Legal Research of the Centre.